This brood doesn't really affect western PA but posters like Shaf, Froggy, EPP, and I will see them for sure. Heard on the radio this morning that the DC area will see 1 BILLION cicadas PER SQUARE MILE. Wow, I guess it has been 7 years. Wtf happened to time? At least the cicadas don't come inside. I've noticed over the past couple years, the stink bugs have been FAR less annoying than in previous years. Rylan wrote: Wow, I guess it has been 7 years. Wtf happened to time? Actually its been nine years. This is a different 17 year brood. Yeah, figures I'd be hit with a biblical plague right before I get out of here for good. I can't believe you forgot me you jerk. I live literally a mile from the district itself. Idoit40fans wrote: I can't believe you forgot me you jerk. I live literally a mile from the district itself. 8th grade was the last time I remember cicadas in Maryland (albeit Western Maryland) and I am now in year 4 of college. So, that is where I got the 7 years from. shafnutz05 wrote: At least the cicadas don't come inside. I've noticed over the past couple years, the stink bugs have been FAR less annoying than in previous years. TIL that there are different kinds of cicadas and in each kinds there are different broods. The last "infestation" was in 2004 and those were 17 year cicadas, brood I. These are also 17 year cicadas but are brood II. I wasn't determining which infestation it was, just that it had been nearly 8 years since the last outbreak, and that blows my mind. What do these guys do/what is the impact? Are they going to eat all the crops or something or are they more just annoying? If they eat stink bugs, please send some western PA's way. 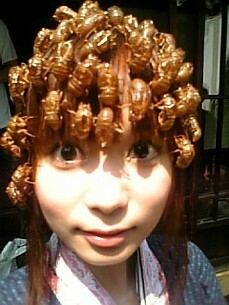 The last cicada apocalypse was lame. In before stir fried cicadas recipe. JeffDFD wrote: What do these guys do/what is the impact? Are they going to eat all the crops or something or are they more just annoying? I think they are just loud? here in my neck of the woods in NJ, i was supposed to get hit 9 years ago and maybe saw 4 or 5 cicadas all summer. hopefully the over-development of the area killed the 17 year bastards as well. if you're creeped out by hideous insects, then this is your nightmare. they're big, ugly and best yet - blind. so they fly all over your personal space without knowing any better. Just annoying. DOn't bite or sting, but they are pretty annoying. May kill some small trees. 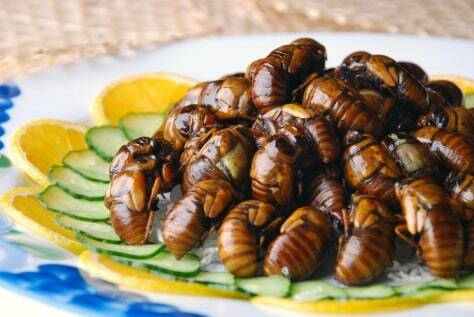 columbia wrote: In before stir fried cicadas recipe. I remember driving to Washington DC (it must have been) 9 years ago for a boy scout trip. When we got in Breezewood the van was white.. when we got to DC, there were blood guts and cicada parts all over it. I found a dead one while weeding my flower garden yesterday. The blue eyed cicada was so rare. I remember kids would trade weird stuff for one.